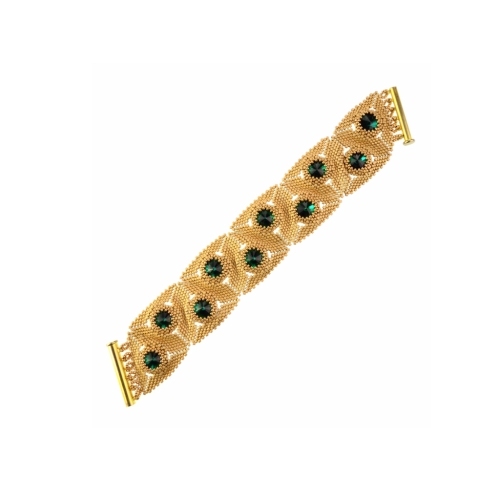 This 'Slanted Bracelet' is one example and I really like the combination of the green Rivolis and gold beads (every project in the book tells you the number & make of every bead used so you can easily replicate it). This is just one of the many projects in the book and you can get your copy through this link. You can buy the book in physical or digital versions as you prefer and I look forward to seeing what you make from it.